We Europeans face a historic choice: either we further develop Europe as a single political entity, or we recede from the limelight. In her latest op-ed, The European columnist Juliane Mendelsohn rails against the “dysfunctional euro” and the flawed European project that “the market inevitably pushed us into.” She links her arguments to the call for us to consider Syriza’s election victory in Greece as a starting point for “radically transforming” the rest of Europe. While I agree with her on this point, I fundamentally disagree with her on most other points. Her argumentation is erroneous and narrow-minded. The deep crisis in Greece that has now resulted in a government led by Alex Tsipras is no bitter punishment imposed upon the country by markets, the troika or some other supposedly evil spirit. The crisis is the proof that a currency like the euro cannot function without a proper governmental structure. There can be states without their own currencies, but never a currency without its own proper state or government body. Why is the euro much more fragile and less crisis-resistant than other currencies like the dollar, the yen or the British pound that originate from currency areas with much higher debt? Because governments in theses areas do everything in their power to guarantee the survival of these currencies and the markets believe in their promises. There is no such institution that could do the same for the euro – not even the ECB. The actions of the latter – quantitative easing for example – are nothing more than an attempt to surrogate a proper currency policy by an independent government body. Let’s not kid ourselves: such an attempt can only fail. It can never solve the inherent problem of missing confidence in the stability of the euro that only an independent government body representing the eurozone could deliver. Secondly, the money the ECB pours into rescuing the euro is mainly going to the financial and housing markets but is not invested in infrastructure or the real economy where it is badly needed. The ECB cannot decide over how its money is being spent – a supranational government body could. A crisis-struck country like Greece in need of infrastructure investment would have benefitted from that. Thirdly, the money glut of the ECB results in a situation in which national governments prefer to take out a loan rather than undertake the necessary financial reforms. This could lead to a growing debt crisis, which fuels the ongoing euro crisis. 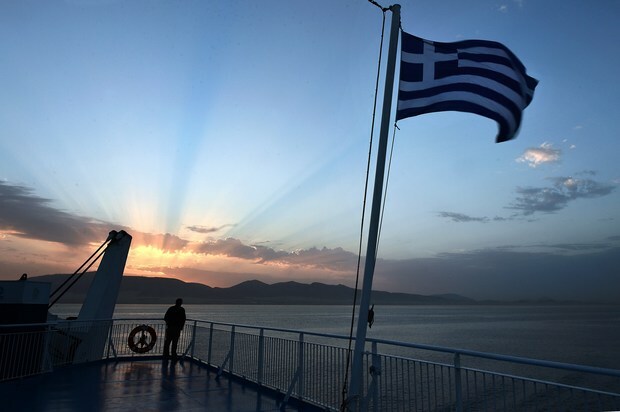 Greece is the prime example for why the national or “sovereign” debt policy is not working. You can not have a common currency while at the same time giving states a free hand in decisions relating to their budget and debts. If the money would come from a truly sovereign supranational central bank – and not be printed at will by the ECB – there would be inherent limits to how much states can spend or borrow. Members of the eurozone are practically no longer sovereign when it comes to questions relating to their currency. It should follow from this that a constitutional step should be taken, in order to cut the power of the ECB by transferring its responsibilities and rights to a superior and independent government agency. This works for nation states, why wouldn’t it work at supranational level? 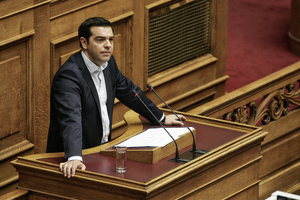 This would also lead to more European solidarity – a demand not only voiced by the new Greek government. Those that call for the support of a community must also be willing to transfer some of their sovereignty to the latter. Only then can decisions be reached in the interest of the community rather than egoistical nationalistic power struggles. Viewed in this light, forcing others to post bail for your looming bankruptcy is also extremely selfish. Greece’s debt – as goes for all other indebted countries, including Germany – neither appeared out of the blue, nor was it imposed upon the country. It is the logical result of certain government policies – governments that have been democratically elected. People like Mendelsohn, calling for “Eurobonds, debt cuts, massive investments, new social policies, and a unified tax system” as proof of European solidarity must also be champions for a supranational government body to implement these policies. 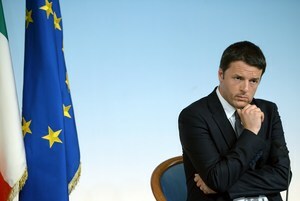 A European federal government is the only way to solve the continent’s debt crisis and save the common currency. It is also our safest bet to stop the increasing division of Europe. The new Greek government is a prime example of the chasm that has opened up in Europe: The leftist Syriza party has formed a coalition with the very right wing Independent Greeks. The only common ground they can find is an inherent nationalism and the desire to break free from what they consider a bureaucratic monster based in Brussels. They blame Brussels for the country’s economic downturn and debt crisis – all in the knowledge, that even if Brussels wanted to cause such a tragedy, it wouldn’t have the power and authority to do so. The problem is that national governments often come to agreements that safeguard their interests but neglect or overlook the interests of the European people. If the latter start complaining and Brussels can’t be blamed, another European country will be made the scapegoat: It’s never “our fault” but always “theirs”. Tsipras argues that way when he claims “to restore the dignity of the Greek people.” He insinuates that some foreign powers have robbed the Greeks of this very dignity. The new Greek head of state fashions himself and his party as “the government of national rescue,” rather than some government of European solidarity or something along those lines. Tsipras’ first official act after the election was to lay flowers on the memorial of the fallen resistance fighters who fought against the Germans in the Second World War. This was a clear statement. Syriza, UKIP, Front National, AfD, Die Linke, Podemos, Pegida and other radicals will continue to gain more influence as long as they are able to shirk from the responsibility of the consequences from their country’s own (debt) politics, placing it on other states, “Brussels” or “the euro” and evoking their own “nation” as some place safe and dignified. It’s not that the euro has “single-handedly destroyed the European dream” (Mendelsohn), but rather that is what the so-called parties and “movements” in Europe’s countries are doing for themselves. The only way to end this dishonest game is to make the people’s responsibility for the economy and the currency clear and transparent: with a democratically legitimized supranational federal government. Essentially, this is also the point of the euro: It is meant to serve as a catalyst for a closer political union. The common currency is a political project that the politicians “created, and created willingly” (Mendelsohn). Precisely: They did it intentionally to force a decision in the long run. For the euro to persist, there must be an independent guaranteeing power to stand behind it. Normally, this process would happen the other way around, but let’s remember that Europe is a historically unique project. It is about developing Europe as political entity, in order to prevent us from disappearing from the world stage. A return to “the good old times” might be romantic, but nothing like it happens in this world. Yes, radical change is necessary. If the European Greek “Crisis” is to be a turning point, it must be the start of a European Federation. Read more in this debate: Alexandre Kintzinger, Dietmar Bartsch, Dietmar Bartsch. 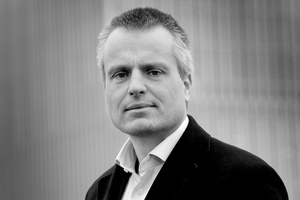 Andreas Moring is professor of Economics and Management at the Business & IT School (BiTS) in Hamburg. He specializes in European Integration, Innovations Management and digital shifts in society. Moring is also an entrepreneur in the field of mobile technology.